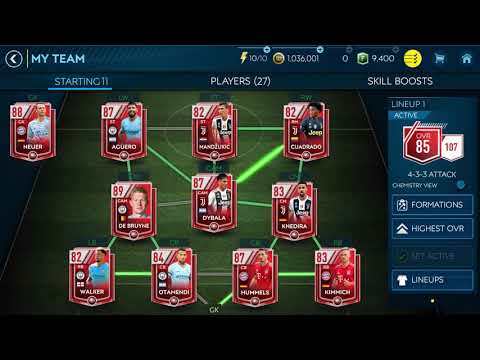 FIFA Mobile has been reimagined to bring you the most authentic and exciting mobile soccer game you’ll ever experience! Get a free Cristiano Ronaldo item to start building and managing your team. Train any player to superstar status, attack opponents, and keep coming back for daily content al... Lihat lebih banyak FIFA Mobile has been reimagined to bring you the most authentic and exciting mobile soccer game you’ll ever experience! Get a free Cristiano Ronaldo item to start building and managing your team. Train any player to superstar status, attack opponents, and keep coming back for daily content all season long. Plus, get into the game on the go with a download size of under 100 MB. Whether you’re a savvy veteran or just starting out on the pitch, FIFA Mobile is your source for soccer.